Simpson Millar’s Travel Lawyers pursue holiday illness claims against the UK’s largest tour operators because their hoteliers repeatedly cause food poisoning and sickness to its customers staying in Taba, Egypt. Suffered Salmonella – E. Coli – Giardia etc. in Taba, Egypt? Illness Outbreak at your Hotel – Can I Make a Claim? Thomas Cook, Thomson, Red Sea Holiday Complaints. Located on the Gulf of Aqaba, Taba, is a thriving holiday resort bordering Israel and is the most northerly of the Red Sea Riviera resorts, but how do you claim compensation if your stay is a nightmare? Taba – Sickness Bug in Egypt? UK holiday companies such as Thomas Cook – Red Sea Holidays – Thomas Cook – Jet2Holidays etc. often receive complaints from holidaymakers who suffer illness due to food poisoning caused by Campylobacter, Salmonella, Shigella infections etc. However, the majority of complaints are dismissed on the basis that the complaining traveller is unable to prove the exact cause or source of the infection due to limited medical or legal knowledge. Simpson Millar’s specialist travel lawyers work with experts in Egypt enabling us to successfully claim compensation from holiday companies. E. coli Fact: E. Coli is found naturally in humans and is a friendly bacteria that helps to break down certain foods we eat. However E. Coli (0157) is a potentially deadly form that can cause liver and kidney failure and even death. If you have been exposed to illness because of food poisoning from E. Coli, Shigella, Salmonella etc. in Taba, Egypt, and are seeking compensation for your holiday illness, contact Simpson Millar’s Compensation Claim experts immediately for a free review of your case. Our team of friendly and knowledgeable travel lawyers handle hundreds of personal injury claims every year against holiday companies pursuant to the 1992 Package Travel Regulations and Sales of Goods and Services Act 1982. 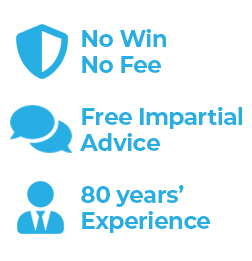 We can claim the compensation you deserve and we are happy to discuss representation. Contact our travel lawyers today on 0808 145 1353 or complete the online claim form and we will consider your holiday complaint against Red Sea Holidays, Thomas Cook, Jet2Holidays and Thomson etc.